Your growth is amazing! I'm so inspired! Your hair is da bomb !! Gorgeous ! You better tell em'! I can't stand when people say our hair doesn't grow. Your hair is beautiful! Not bad!?! This is awesome! I got to get my act together so I can retain length like you! Lol! Congrats on your growth! Your twist outs are honestly the best looking I've ever seen! My goodness...just lovely. I swear you are the queen of juicy twistouts. Can't wait to see what the next year brings. 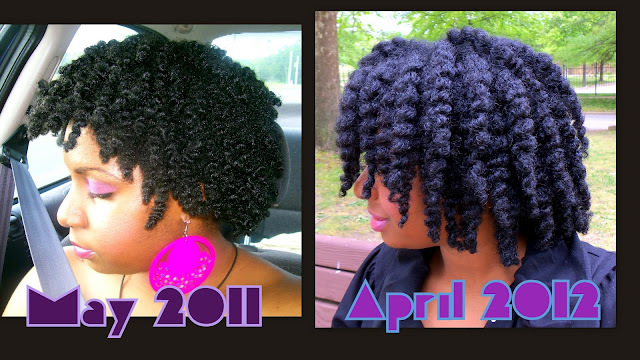 You have amazing growth..I love your hair! My hair reaches a certain length and then seems like it wont get any longer, i dont know if I manipulate it too much or what the problem is. Do you have any advice? I like for my hair to be stretched, so i was banding every night, could this cause it to grow slower than normal? Thanks everyone for your kind words!! !